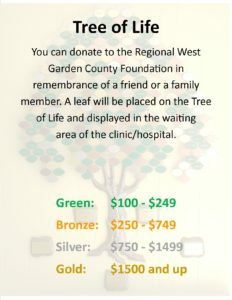 Learn how YOU can give, and what the foundation has done for Regional West Garden County in the past. 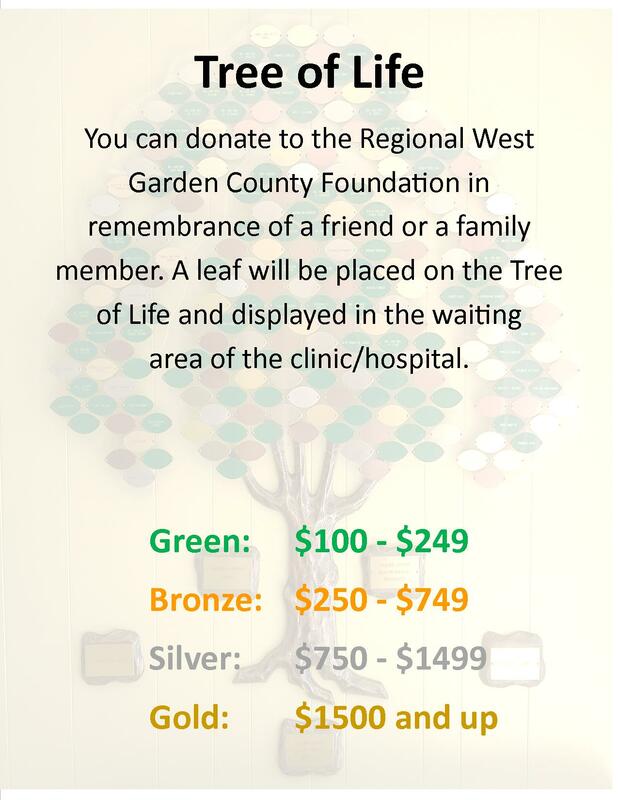 Regional West Garden County Foundation is the philanthropic arm of Regional West Garden County. It was formed in 2004 with the purpose to educate the public about the needs of our county’s healthcare facility and to accept gifts on behalf of the Health Services. Quality of life is a valued aspect for people in Garden County and the surrounding area. Even those who have moved away still find a place in their hearts for the area. Donors have said that it “feels good” to give back to the community. Your tax deductible donation will make a difference for years to come. Regional West Garden County is unique in that it encompasses five different areas of health care: A critical access hospital, a rural health clinic, emergency services, an assisted living, and a long term care facility. Each of these services offer a level of care that builds a birth to death continuum for residents of the county and surrounding areas. With such a diversity of health care offerings, their needs are likewise very diverse. Our Foundation’s role is to provide opportunities for people to invest their time, money and energy to make Regional West Garden County the health provider of choice no matter what stage of life.